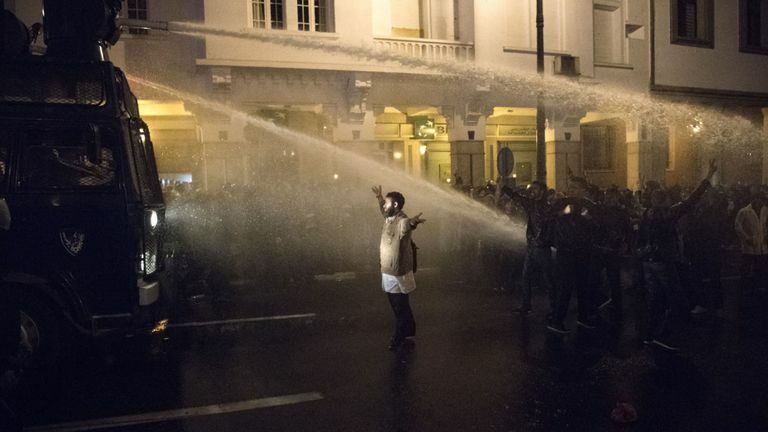 Morocco: Police use water cannon on protesting teachers - The Maghreb Times ! Thousands of teachers are demanding pay rises – and defying government demands to return to the classroom or face the sack. Sunday’s march in Rabat, Morocco’s capital city, came a day after police used water cannon to disperse teachers who were sleeping outdoors in protest. The teachers marched from the education ministry to the front of parliament – and demanded permanent contracts that deliver civil service benefits including a better retirement pension. 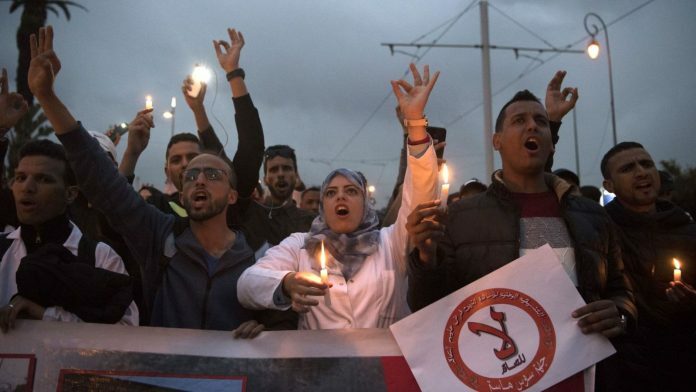 Some of them shouted slogans such as “this is a corrupt country” and “we are ruled by a mafia” – and urged Prime Minister Eddine El Othmani to resign. The government insists that teachers on temporary contracts have the same starting salary as those employed permanently, which is about 5,000 dirhams (£395) a month. However, many protesters are demanding that their monthly pay is raised by 1,500 dirhams (£118) per month. The government has warned that teachers face the sack unless they return to the classroom.